IpVanish, a US based VPN provider has a high name in its segment by providing a high level of anonymity for the users of its services. With more than 15 years of experience in IP services and management of networks, their servers are present in about 41 countries. 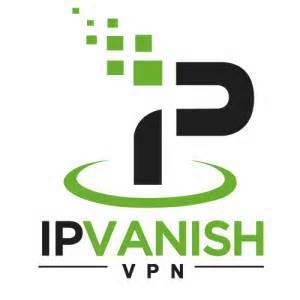 Let us have a quick look at the features, pricing, security, support and other details of the VPN network provider in the following IPVanish VPN Review. The service is offered in single packages with discounted rates when bought in bulk. There are various offers made available by the company from time to time, further reducing the cost. You get a choice of L2TP, OpenVPN and PPTP protocols and of more than 90 servers with bandwidth without any limit. All the servers provided by the company have support for both the reliable TCP and the faster UDP versions of the protocol. The website of the company seems to be a professional one, attracting with a lot of information about the VPN and the company’s services. They have a high quality forum and up to date blog having all the required information and news. The service to the customers is available either via the email process or by a live chat during the business hours of the Eastern US. The company keeps the record of only the time, IP address and the size of the transferred data during the connection and there is no other record of your activity. The IP addresses used are shared to prevent identification of any individual user. The only negative point they presented was that they retain the user’s email address for marketing purposes. All the users have access to a 256-bit OpenVPN-encryption, providing the best security over the network. The process of subscription is very simple, which requires just an email address that is valid and the payment mode to sign up. The client is easy to install and use, with ease of selecting the desired protocol and the server and the display of the comparison of the server speeds. The preferences pane is also simple and provides every necessary setting to modify. There is a link for you to check out the location that appears for your IP address and a nice tray icon for quick access. The control panel that is based on the internet helps you manage your billing and account details. A list of servers is also included with the information of the load on each server. The tests were conducted with a 10MB broadband connection in the UK. The upload and the download speeds were very impressive when connected to either of the UK or the Belgium servers of the VPN. The VPN clients are not only available for Windows and OSX, rather complete guides along with the files for configuration, where required, are available for other platforms like Ubuntu, Android IOS as well. Thus, the IPVanish VPN Review gives a conclusion that the VPN service provided by the US Company is the best in class service with high data transfer speeds and attractive features available at affordable price range.